I was recently sent a pot of magnetic nail powder from Born Pretty Store, I got the powder in shade number 5 (0.1g), but there are 6 colours and they are available in different amounts of powder. The powder is copper/bronze shade that colour-shifts towards a golden-green. The Born Pretty Store website has instructions for 2 different ways to apply the powder to your nails and, in the video below, I tried the powder in both ways. The instructions state to use the powder over cured gel nail polish, but I don't use gel polishes, so I am applying the powder over 2 coats of Black Forest by Barry M with a layer of Good To Go top coat by Essie. The first way to use the powder, is to just pick up some on the eyeshadow brush (that comes included with the powder), and buff it onto a black nail. This creates a duo-chrome finish across the entire nail. 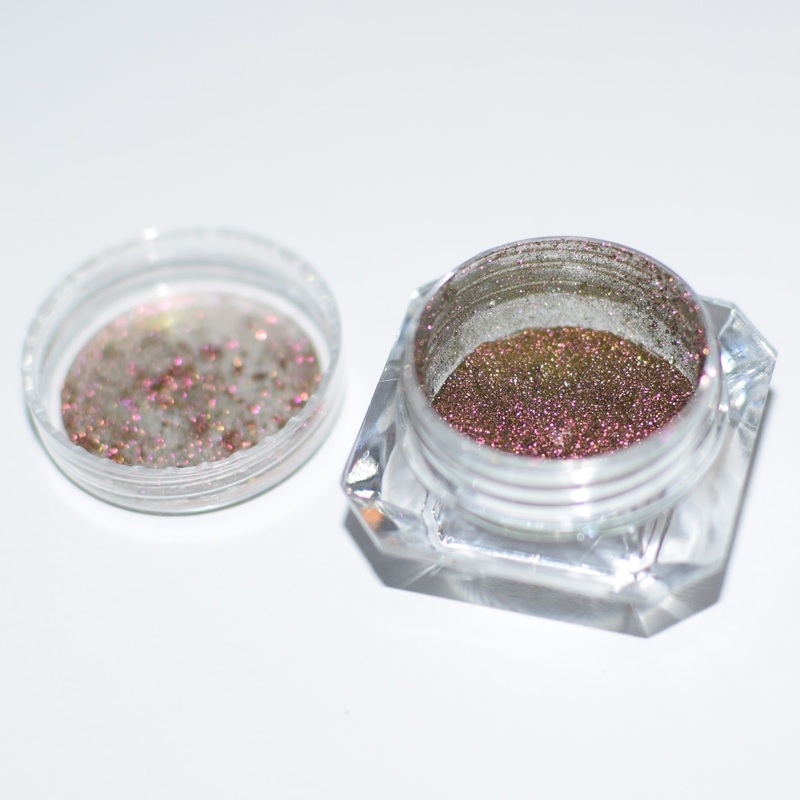 The other way to use the powder is by mixing some of the powder into clear polish (or top coat/base coat), applying it over a black base, and before letting it dry, hold a magnet over the nail to create an interest effect in the polish. I used the magnet that came with a Barry M polish I have (you can buy specific magnets from the Born Pretty Store, but any magnet should work). I understood with this method why if would have been better to apply the powder mixed into a clear gel polish, because I did find that the polish dried a bit too fast before I could get the magnet onto it, which means no pattern will appear... I managed to fix this by adding another clear coat over the powder whilst it was on my nail, and that seemed to work great. I think this powder is super fun, it looks great just as a chrome finish buffed on the nail, but the fact that it's magnetic means you could create some really fun and interesting design using it. You can buy the powder here!